A couple weeks ago I shared a piece of linen fabric that I printed as a base for an embroidery project I have been dreaming of. I am having the best time working on this piece. I plan to turn it into a pillow for our porch. 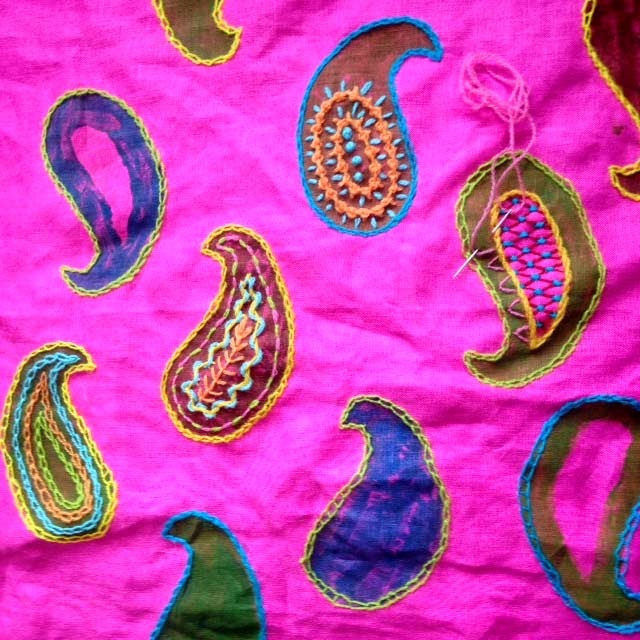 The hand-printed paisley motifs are rather solid although there is a little show-through and mottling see-through of the pink background color. I like that. 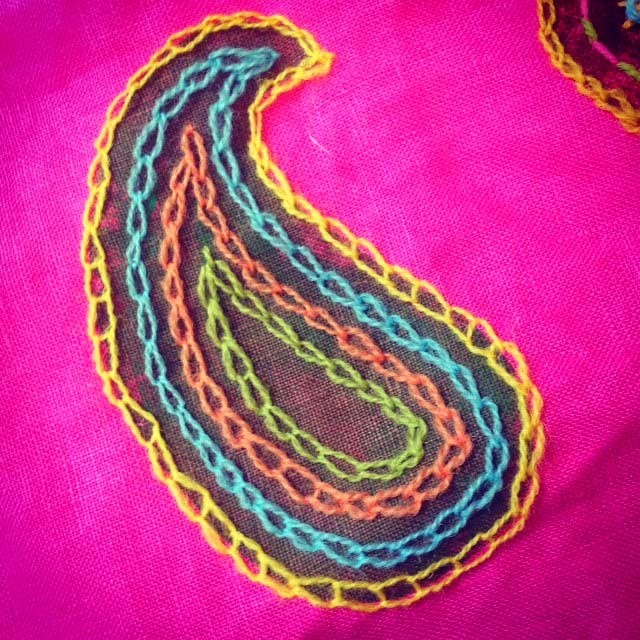 The paislies are perfect little shapes to embroider. I can usually finish one in an evening which makes me feel good - to have completed anything in an evening is amazing. Here are some close-ups of my work in progress. 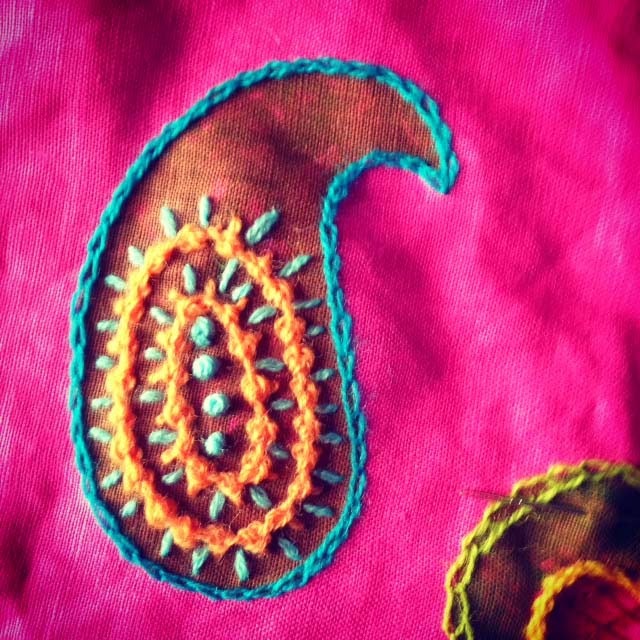 I have embroidered other paisley motifs - like on this cashmere blanket in my book Colorful Stitchery. 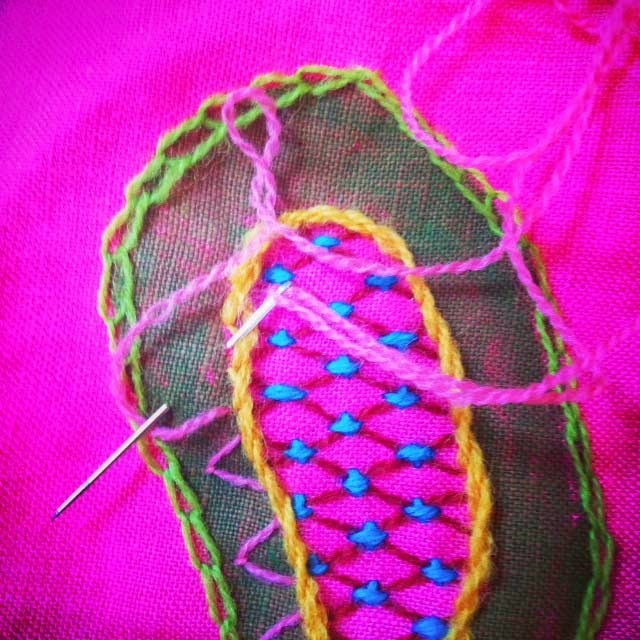 You can come to a class at our farm this summer and learn to do Crewel Embroidery. 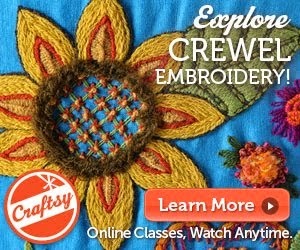 I am hosting a Crewel Embroidery weekend on August 8 and 9. You will get more out of it if you come for 2 days but I am also offering just the Saturday option. Check out my 2015 Classes on my website here. There are only 5 student spaces available as of today. When you are at the website, check out my other classes. I am also offering custom classes for a group of at least 4 students. 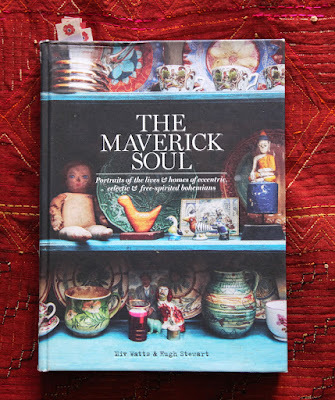 Topics include knitting, crewel embroidery, fabric printing and lampshade painting. I sell all the supplies you need for Crewel Embroidery on my website here. Maybe you will be inspired to give it a go soon. Have a colorful week everyone! 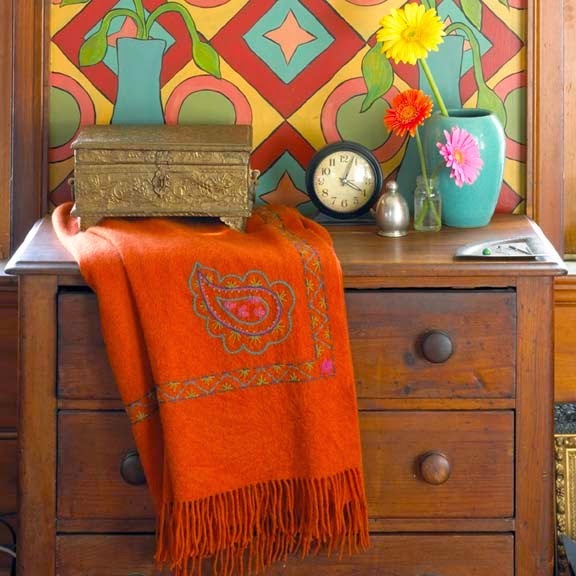 Oooo... LOVE that chest of drawers! 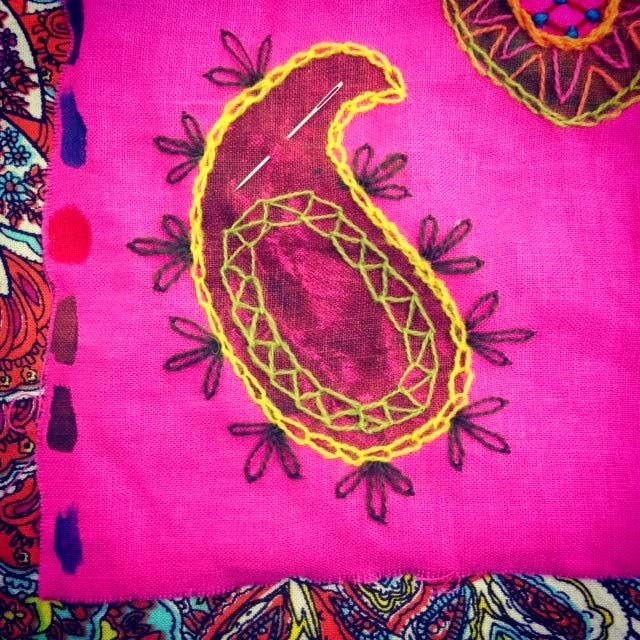 Kristin, your paisley embroidery is evolving very beautifully. The colors are really singing to each other, and the variety of crewel stitches you are using keep the entire piece a delight for the eye.